Located on Bear Creek Path at the Martin Drive underpass. The Arts Martin Acres community mural is the result of 22 artists coming together to volunteer their time and creative vision. Each frame was painted by a student, neighbor and artist in our local community. The murals are all unique and reflect the artist's view on personal experience. It's a collection of our community and culture and we're so happy with the way it came out. 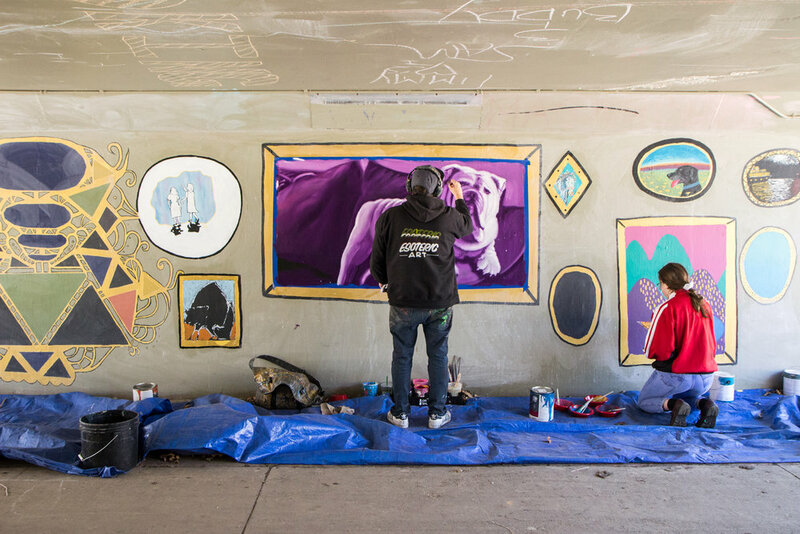 Check out the new collection, gracing the Martin Drive tunnel along Bear Creek Path like a salon style gallery! Thank you to everyone who volunteered their time and artwork to this project!